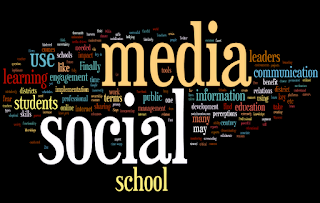 In today’s society, social media has permeated almost every aspect of our lives, yet many educators are still skeptical and skittish about the use of social media for teaching and learning and as a communication mechanism. Why? Masseni (2011) gleaned answers to this question from a recent survey conducted to find out perceptions of school leaders in relation to social media. First, school leaders may be unclear on the purpose and functionality of social media. Many people incorrectly associate social media with Facebook. These types of platforms are a hallmark of social media, but only one facet of the social media world. The essence of social media is using the internet to create, share and shape information. This can be via tools like blogs, wikis, microblogs like Twitter, texting, polling, tagging, etc. Second, leaders may not fully understand content creation and writing for social media. They may mistakenly think that social media will take time that they just don’t have because of busy schedules, when in many cases, social media can actually save time and increase productivity. Finally, the fear surrounding security and protection could impede the use of social media in school districts. News reports of online bullying have caused a knee-jerk reaction to restrict all social media use at school when what is really needed are campaigns to teach students social skills for online environments. So how will the perceptions and concerns, some of which are legitimate, and some of which are unfounded, impact education? So far, in many schools, it has meant that students enter a time-warp when it comes to their engagement. At school, they’re stuck in the previous century in terms of internet use, and are only able to passively find information instead of actively creating, shaping, and sharing information in a meaningful way. Not surprisingly, this hinders students’ ability to learn 21st century skills needed for their future careers. Similarly, potential parent engagement with the school is hindered when mainstream forms of communication (i.e. social media) are not being utilized for disseminating information. 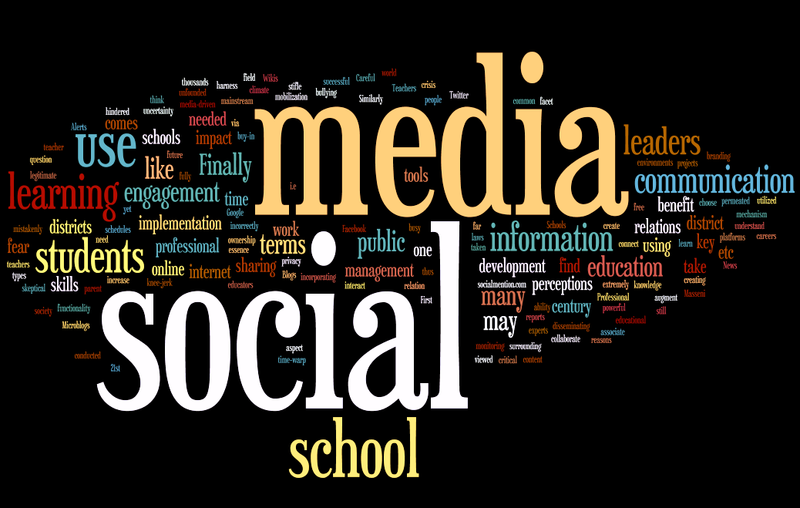 For students, the use of social media to augment their education means they can interact with experts in the field doing the work they are learning about, connect and collaborate with each other on projects, have their work viewed by thousands (as opposed to one teacher) and thus take more ownership and buy-in to what they’re learning. Teachers can utilize social media for knowledge acquisition, resource sharing, professional development, professional networking and mobilization for common causes that impact teachers, communication with students and parents, etc. 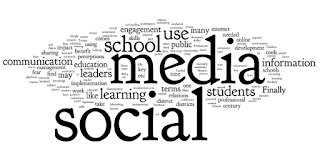 Finally, school district leaders can clearly benefit from social media in terms of communication with stakeholders, public relations, branding, and even for crisis management and resolution. 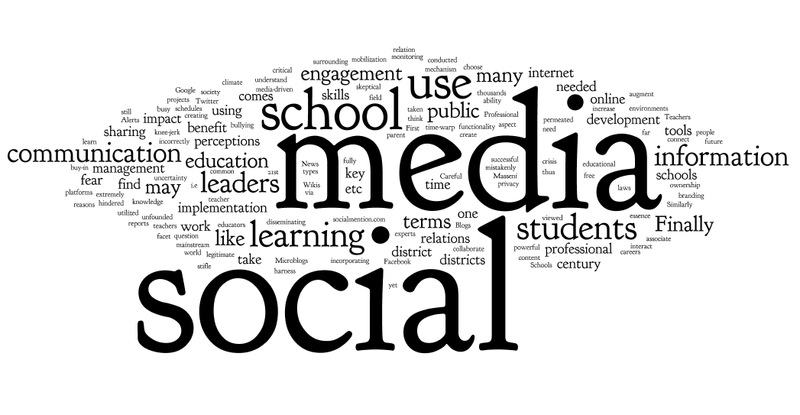 Strategic implementation is the key word when it comes to school districts’ using social media for both learning and public relations. Careful consideration should be taken to develop a customized social media policy that balances the need for access with the privacy laws applicable to public education. Professional development is key to successful implementation in terms of social media use for learning engagement. Finally, free analytical tools for monitoring like Social Mention or Google Alerts and can be extremely powerful for enterprise management of social media in a district. Schools will only benefit from our social media-driven climate if they choose to harness the power of social media rather than stifle its use because of fear or uncertainty. Dr. Credence Baker is a TSMRI Board Member and Assistant Professor of Educational Technology at Tarleton State University. You can find her on Twitter as @drcbaker. Masseni, D. (2011). Why schools are spooked by social media. Sponsor-ed Group: Australia. Retrieved from http://www.sponsor-ed.com.au/imag/ayam/Why_schools_are_spooked_by_social_media.pdf.